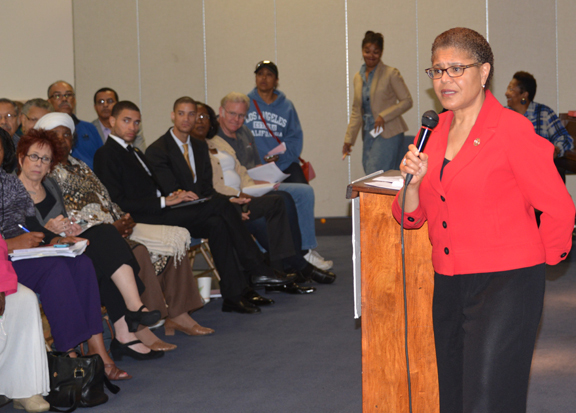 Last weekend, Congresswoman Karen Bass (D-Calif.) spoke out on the need for Congress to enact comprehensive reforms to reduce gun violence in America. Her remarks came as President Obama traveled back to Connecticut to again urge Congress to adhere to the wishes of 90 percent of Americans who favor tougher gun laws. 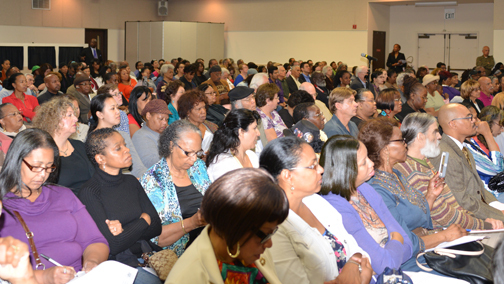 Speaking at both a town hall hosted by her Congressional Office as well as a forum with local NAACP leaders on Saturday April 6, Bass reiterated her commitment to fighting for tougher gun laws and doing more to ensure that reform efforts include provisions related to mental health and the impacts of chronic violence in urban communities.